Characteristics: : A deciduous perennial with small green leaves on axillary stalks. Growth & Spread: Growth & Spread: Fast grower, which will reach a total height and spread of 1.5 to 2 m.
Flourishing Season: Golden white to yellow, pea-shaped flowers in late spring – May and June. Water & Maintenance: During the first year, make sure to water regularly and plant with fertilizing organic material. It is a relatively low-maintenance plant. The Warminster Broom grows in long stalks that hold thin, green leaves of about 2 cm in length. During blooming, these axillary stalks are filled with hundreds of golden white to yellow, pea-shaped flowers, blanketing the plant in blooms. The flowers have a delicate aroma and attract a number of pollinators, especially bees. This plant prefers full sunlight. In order to get the most out of this plant it is also suggested that after the flowering season, the plant should have new growth pruned back, a recommended 20-50% of the branches. They should be trimmed with regularity every year, so that the older, woodier growth is not cut in later pruning. They prefer well-drained soils, but can do well in poorer quality soils. In addition, they are hardy plants and can endure most freezing temperatures. And they are relatively disease- and pest-free. 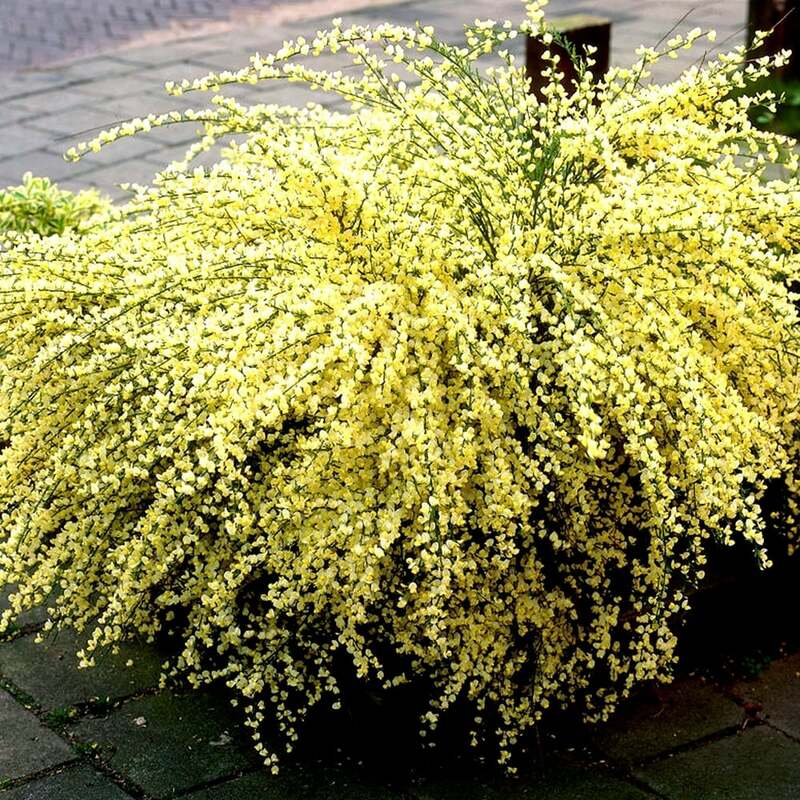 After being established, they are relatively drought-resistant and good to use as an ornamental in rock garden areas, borders, medium-sized flower beds and in banks or hillside areas as a landscaping plant. These plants also do well in containers.